Seafood restaurants in Colombo boasts of having the freshest catch, cooked and seasoned to perfection either Sri Lankan style or any way you prefer. 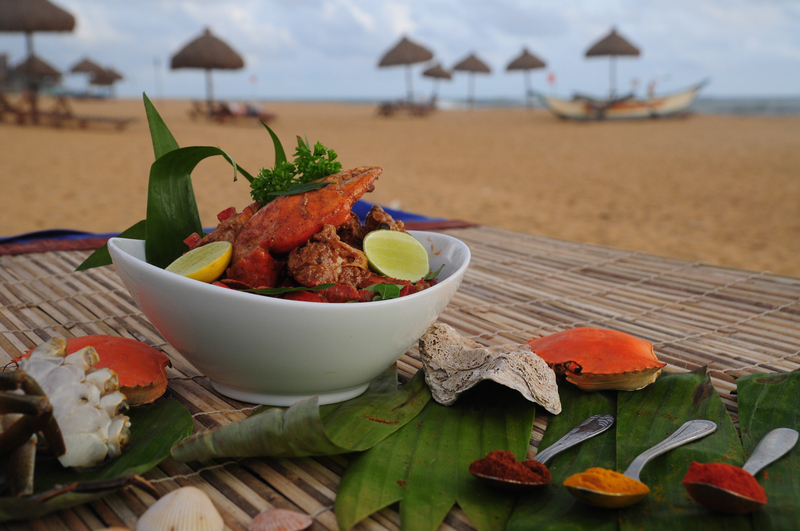 From the zesty Jaffna crab curry to sushi to choice lobster dishes, seafood by all means is a speciality that you must try in Sri Lanka. 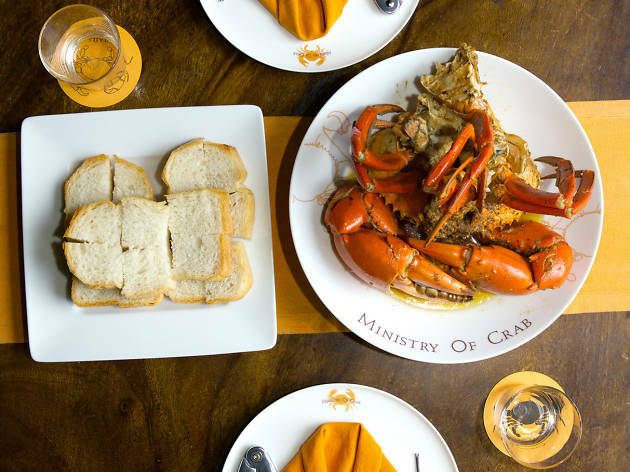 For those who prefer to get right down and dirty, with delicious crab fare, of course, then try out the Ministry of Crab with its laid back atmosphere and great food while the Lagoon at Cinnamon Grand offers a vibrant and noisy environment with an open kitchen. Check out our guide to some seafood restaurants in the city, where you can taste the cuisine made by skilled chefs, choose the ingredients of your choice from a fish market-like setting and enjoy biting into some of the best dishes the country has to offer. Following its opening in the restored old hospital building (now given over to restaurants and craft shops) in 2012, the restaurant rapidly became a trend setter and a favourite with both locals and tourists alike. 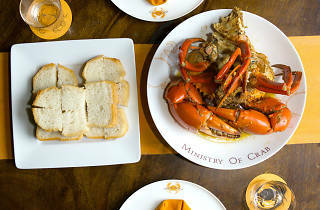 Sri Lankan cricketing heroes, Mahela Jayawardene and Kumar Sangakkara along with culinary maestro, Dharshan Munidase, decided to create Ministry of Crab as a celebration of Sri Lanka’s seafood, particularly of her wonderfully sweet and succulent crabs. 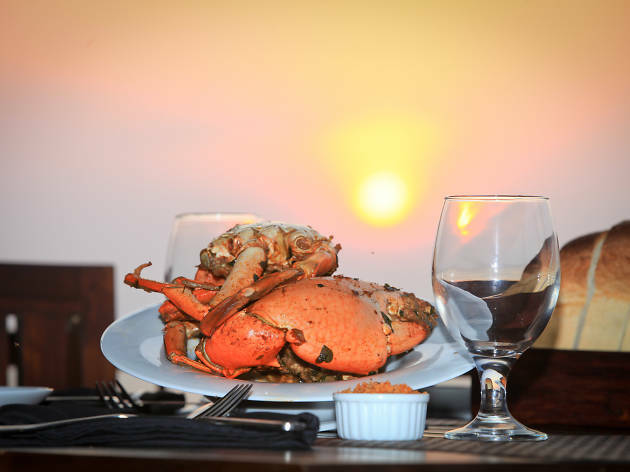 The menu lists the different methods of preparation of crab, the range of sizes of the crabs, guidelines to the servings and finally, details of other meal options such as chicken, prawn and rice based dishes. Guests can sit at long shared tables with a view of the open kitchen, or outside on the veranda where the courtyard gets lively at night. It’s not hype to alert potential guests that reservations in advance are needed as the place is so popular. Only open in the evenings, except weekends when lunch is available too. 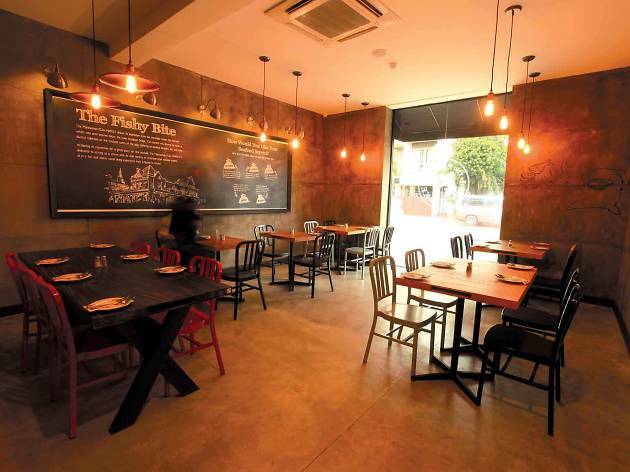 Owned by Don Stanley’s and located at the corner of Haig Road, Bambalapitiya The Fat Crab offers a tantalising getaway to experience some of the best crab dishes. Seafood lovers who wander into this quaint little restaurant will be treated to a feast, along with the enchanting views of the ocean. A narrow doorway and a flight of stairs lead you to the The Fat Crab, which is built atop a wooden platform. 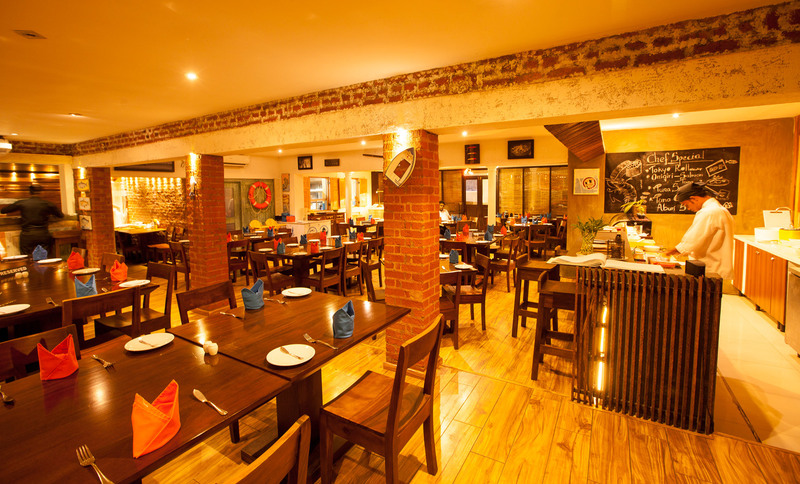 As such, the design of the whole restaurant consists of dark tones and timber while a touch of vibrance is added by the colourful posters neatly hung in two rows on one wall. Even though at times you would be startled by the din of the trains on the railway tracks, it contributes to the informal setting while adding to the exciting ambience. 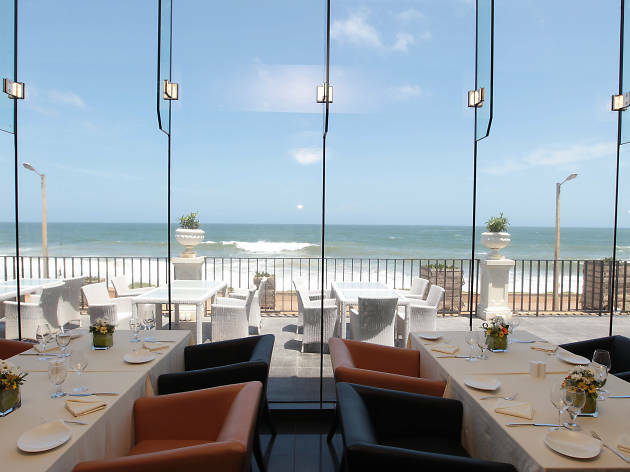 Take in the view of the Indian Ocean along with the sound of live-cooking at the Ocean Seafood Restaurant – the fine dining seafood restaurant at Kingsbury. A spectacle indeed, as chefs use their culinary skills to prepare dishes of oysters, lobsters, crab and salmon with a combo of rice, noodles, vegetables and salads, with fresh spices and herbs. The interior of the restaurant with its luminosity of light is an epitome of elegance and character. It opens to the ocean that transforms the mood into a delightful liveliness with the pleasant tumult of the sea. 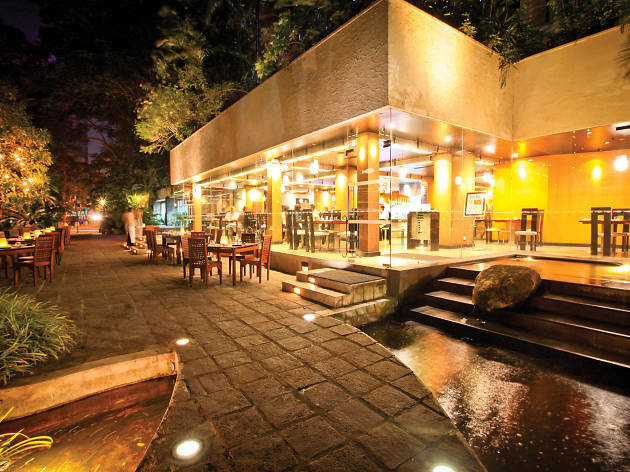 This intimate six-table restaurant exudes a chilled charm, with rock gardens, bamboo walls and pretty interior design. Beyond the six tables, Nihonbashi also boasts eight beautiful dining rooms for more intimate events, and a one-of-a-kind Yakitori Garden where guests can eat under a bamboo canopy. Staff are friendly and eager to help guests pick their meals from an extensive menu of Japanese dishes - including crab meat, sushi, maki and a pancake called Okonomiyaki. Finish off your meal with an unusual desert like wasabi ice cream or kanten jelly. 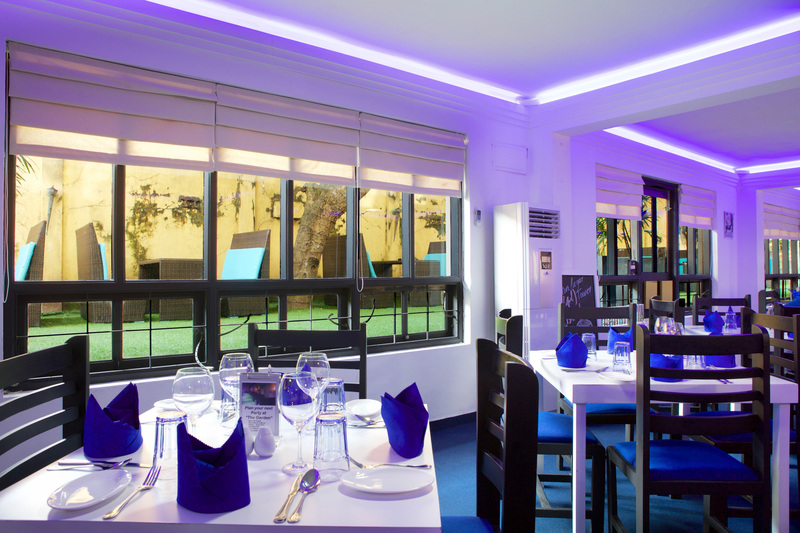 One of the latest seafood restaurants in Colombo serving seafood is Off the Hook Seafood Restaurant and Bar. Among the delectable seafood on offer is sushi and sashimi. The sushi comes in a serving of six pieces which include Spicy Tuna Roll with Tempura Crumbs, Volcano with Tempura Prawn, Avocado, Crab Stick and Fish Roe. The Nigiri and Sashimi ranges include Aburi nigiri (calamari blow torched with tonkatsu sauce) and Shake (Salmon) Sashimi. An assortment of sushi and sashimi is available in the Moriawase Platter, which is a combination platter for four or a Moriawase Bench, a combination platter for two. One of the most popular dishes on the menu is the Jaffna Style Jumbo Prawn Curry with fresh Homemade Curry Leaves Roast Paan and Pol Sambol. 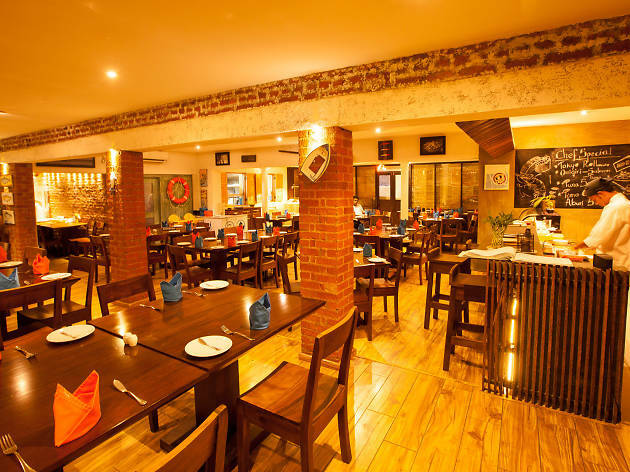 The concept behind the mains is that patrons can choose the seafood of their choice, choose the method of preparation, whether Sri Lankan, Thai, Chinese, Western or Japanese, followed by the selection of a side dish. Starters and soups are also available. 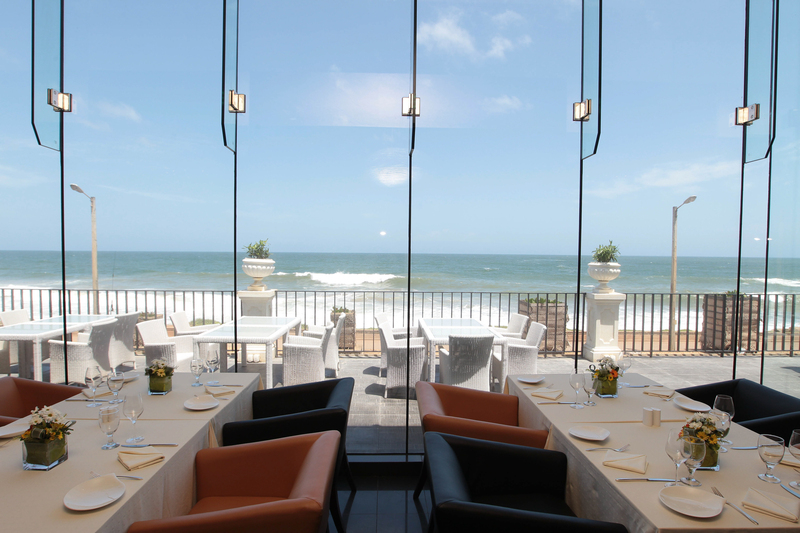 The ambience at The Seafood Cove, Mount Lavinia Hotel, is extremely peaceful. With candlelit tables set beside the beach, guests feel happy in a breezy and scenic rustic island atmosphere. 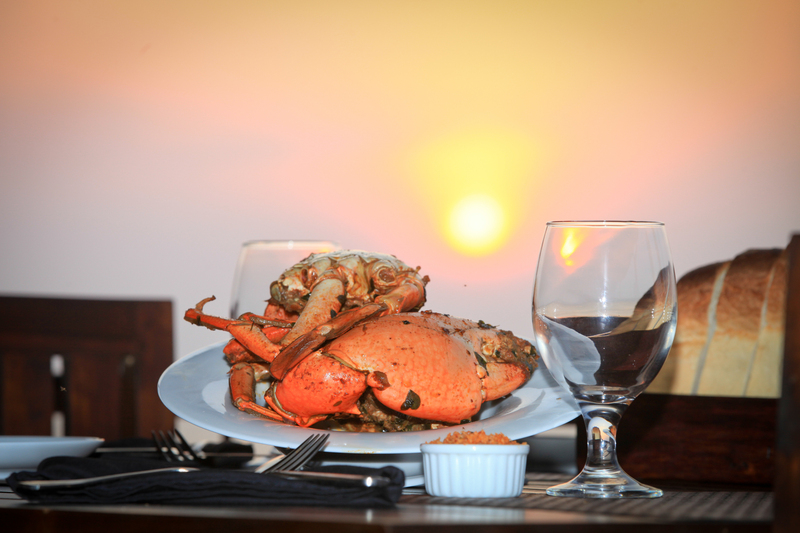 The Seafood Cove takes pride in serving freshly caught seafood from the Indian Ocean just steps away. 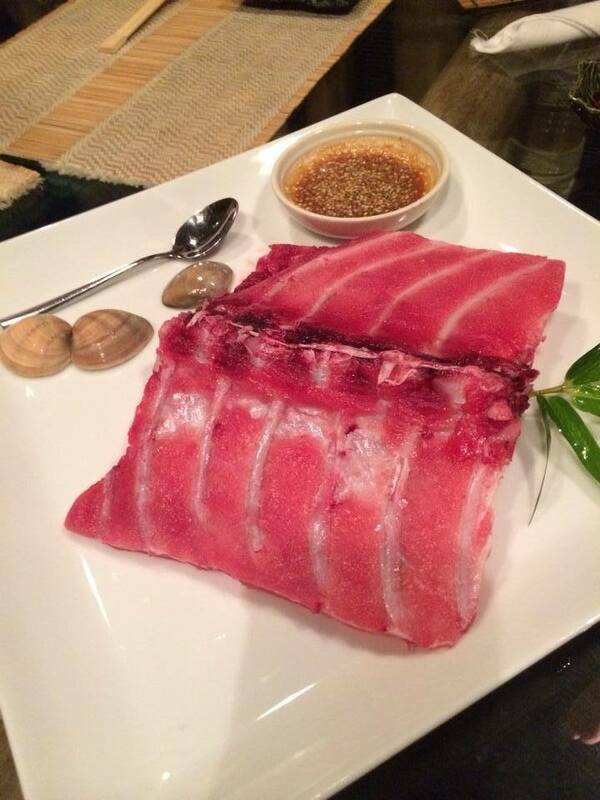 The seafood is fresh, displayed on ice until cooked the way customers wish – whether grilled, sautéed, devilled, poached or fried. A live band playing soft music enhances the magic and charisma of the night while the waves gently wash the shore. 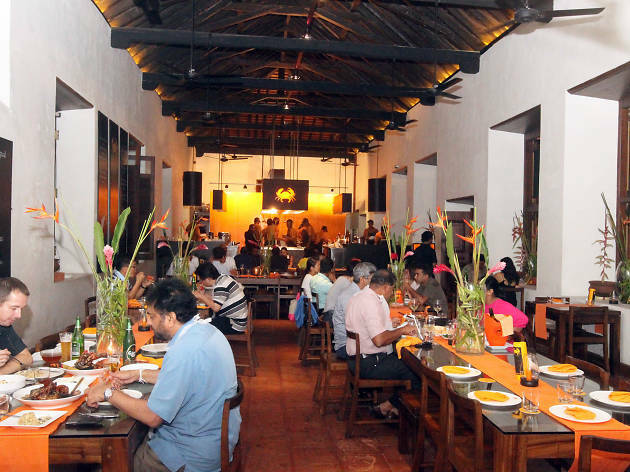 A restaurant renowned for serving up traditional Sri Lankan cuisine, the Curry Leaf boasts a wide array of seafood amongst other local favourites. 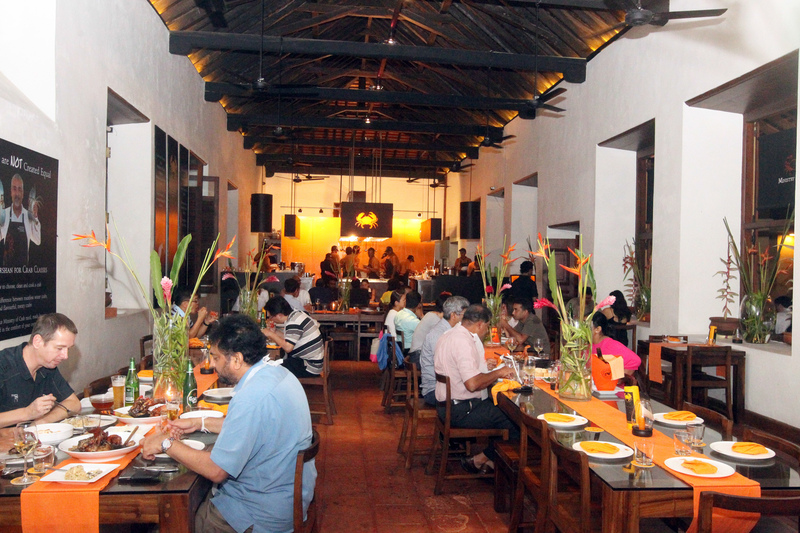 If you’re thinking of hitting the Colombo town for a truly home grown feast, then rest assured to find what you’re looking for at this restaurant. The infamous kottu, rat-a-tat-tatting away in one corner, the roti isle in the other, hoppers plain or with a hearty egg, sunny-side up or however you like them, sitting at their soft centres, oil cakes or kavum crackling away as the sweets maker dips them deep into a wok of hot oil, spiced kadala or chick peas, waits steaming in a cart. The Fulton Fish Market is the source of inspiration for The Manhattan Fish Market, one of the finest international seafood franchises. 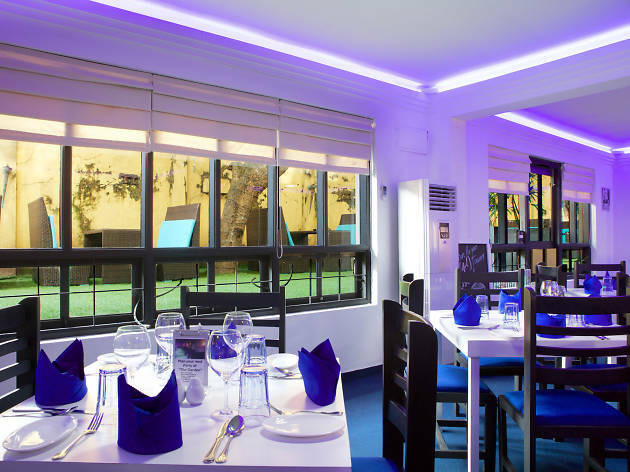 With a taste for serving high quality specialty dishes, composed to succulent perfection, the restaurant is best described as a casual diner with premium cuisine. 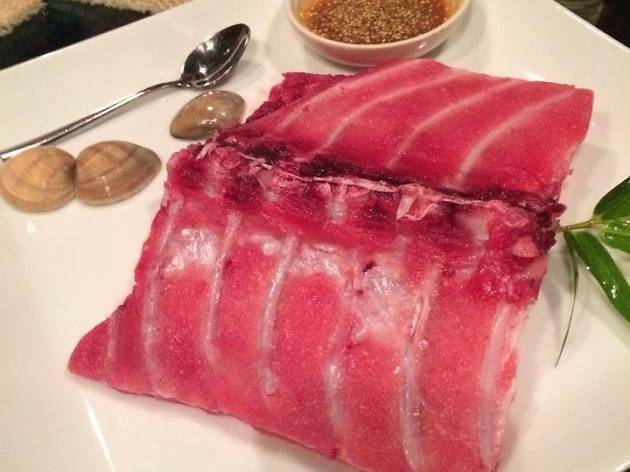 The Manhattan Fish Market prides itself in serving absolutely anyone and the food is completely trans-fat free, appealing to health conscious food lovers. The meals are generously sized with great consideration to nutrition. Protein-rich fish is coupled with sources of carbohydrate, either in the form of rice or French fries and garnished with a vitamin rich salad. A highlight is the Dory (fish) which features in many of the dishes. 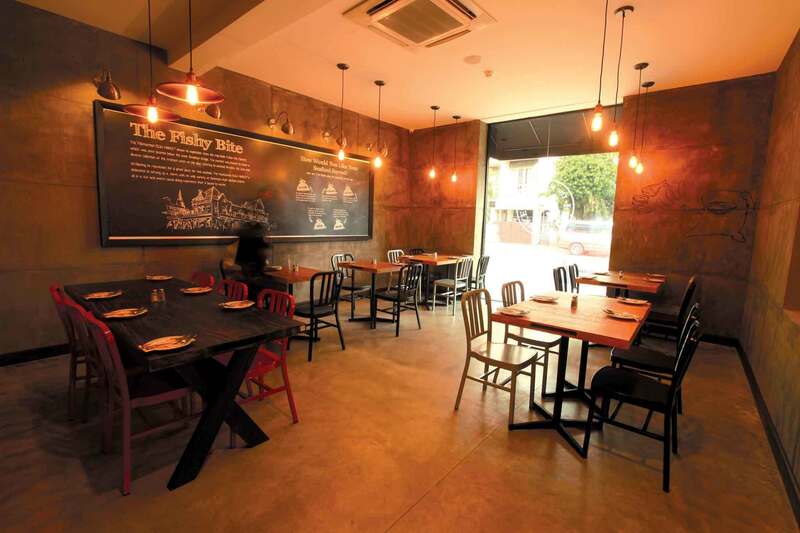 The Dory fish is a rare treat in Sri Lanka and an indulgence at the restaurant. The fish said to melt in your mouth is served alongside other equally appetising treats such as oyster, mussels, tiger prawns, lobster and scallops. The menu itself has a diverse range of dishes which besides seafood also consists of favourites such as chicken, rice and French fries, beverages and desserts. 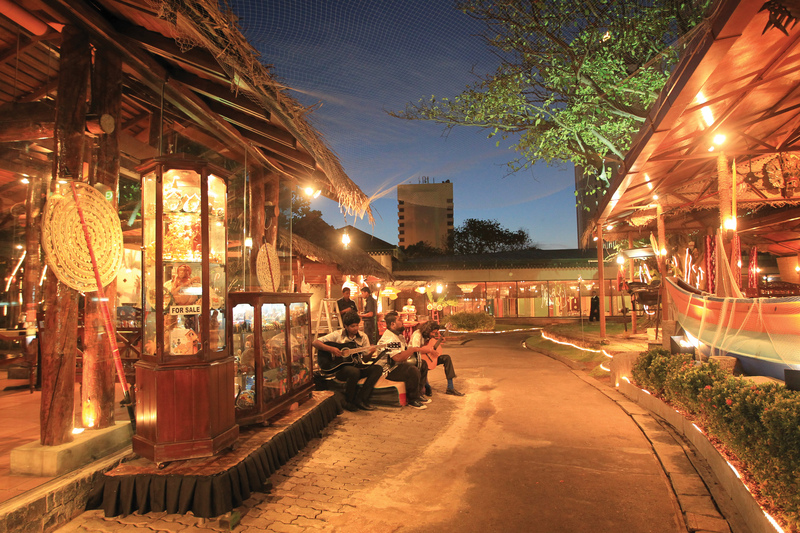 The Sea Fish Restaurant is one of the oldest seafood restaurants in the country. 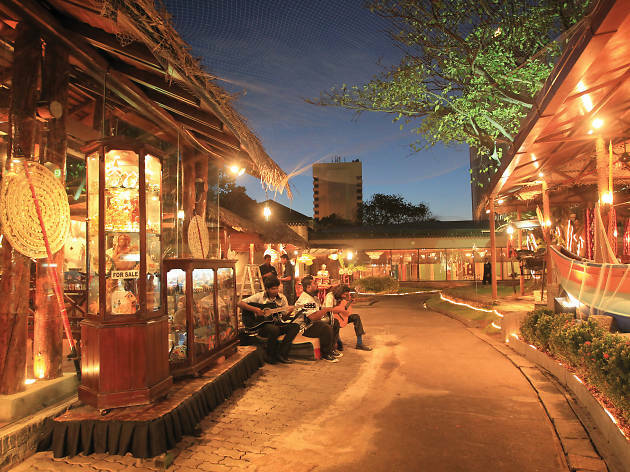 Established in 1969, the extensive menu consists of several local favourites in seafood, in addition to pastas, sandwiches, soups, snacks, noodles, rice, hoppers and ‘roast paan’ and a set menu of desserts which include ice cream, fresh fruit salad, chocolate biscuit pudding, jaggery pudding and bread pudding. 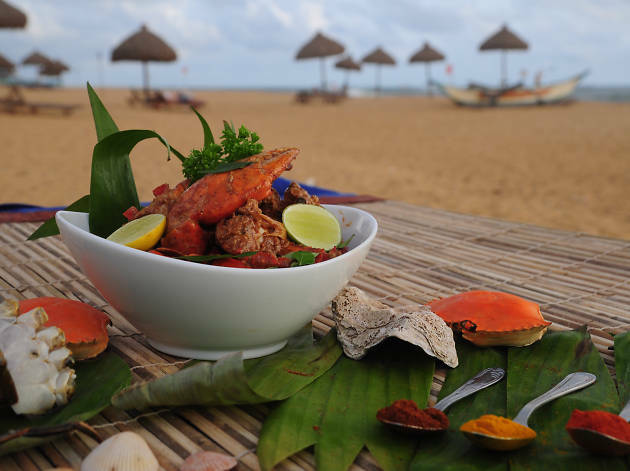 The Ceylon Sea Fish Signature Premium Mixed Boat, the Negombo Prawn Curry served with roast paan, and the Chilli Crab are favourite dishes served at the restaurant. 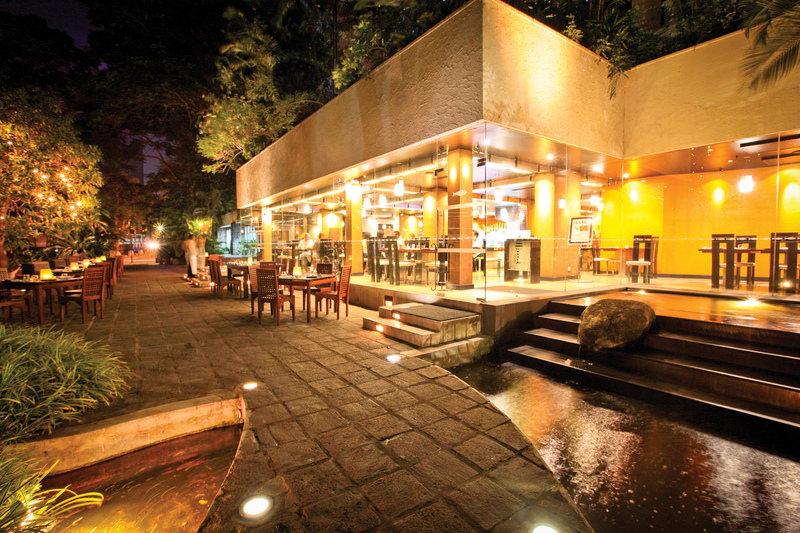 The restaurant features an outdoor dining area, which is best enjoyed at dusk. There are also three private dining areas, two of which can accommodate six people each, and the third has capacity for twelve. Picture a buzzing fish market, with fresh fare that you can select from. Then picture a work station with various chefs preparing the dish of your choice from the selected fare. If you can put all that together then you can understand the allure of the Lagoon at Cinnamon Grand. It is nothing but the freshest seafood that the restaurant offers it’s customers with the some 40 plus varieties of crabs, lobsters and fish on display. After weighing the selection you can select from the 30 different varieties of sauces and have the chefs prepare the dish in Thai, Sri Lankan, Chinese, Indian or Continental Style.